Waiting with love – the truth behind "Narcos"
Anyone’s Child Mexico, the interactive documentary.Since the Mexican state intensified its drug war in 2006 more than 28,000 people have disappeared and over 150,000 have been murdered. They walked out of their homes one day, never to return. Often, no-one knows where they are, or whether they are dead or alive. And for every person disappeared, someone is still searching. “The current war is not a war against drug trafficking, nor against drugs themselves,” states María Herrera, desolately. “It is a war against families. It is a war against society. It is a war that affects all of us.” María lives on the frontline of the global drug war in Michoacán, Mexico – an ineffective and counterproductive war, to which she has lost four sons. She is now part of Anyone’s Child Families for Safer Drug Control, a growing group from across the world who are calling for the legal regulation of drugs. It is a war against families. It is a war against society. It is a war that affects all of us. To some, it may appear reasonable to ban drugs and to place criminal restrictions on their production, supply and use in order to protect the young and vulnerable. 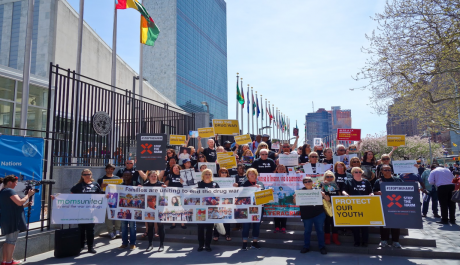 But voices from the UK, Mexico, Kenya, the US, Canada, and Afghanistan whose loved ones have died, disappeared or been locked up because of the drug war, have witnessed first-hand how current drug policy is causing even more harm than drugs themselves. Anyone’s Child aims to expose the human cost of the drug war and show that moving away from prohibition and criminalisation will better protect communities around the world. María is just one of the families telling their story for Anyone’s Child Mexico. The power of the illegal drug market has not only torn apart the lives of these families, it also corrupts the very institutions meant to protect them. Families are left alone and receive very little help or support from the authorities. It takes courage to speak out. 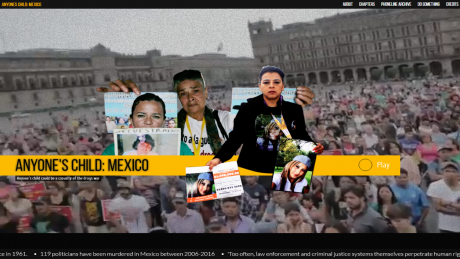 This interactive documentary is a rare opportunity to hear the human casualties of the drug war in Mexico talk about the utterly devastating violence and corruption they have encountered. Drugs mean money, and when there is so much money involved in an illegal market, there is corruption. 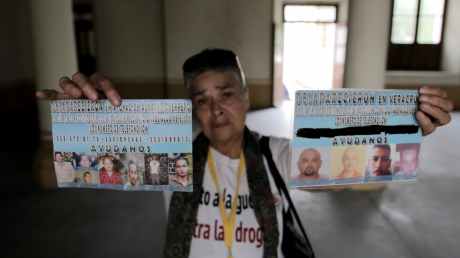 In 2010, just two years after her sons went missing, two more of María’s sons – Gustavo and Luis Armando – were taken. Having spent the past two years investigating the disappearance of their brothers, they had gone to another state looking to earn some much-needed money. On their way, they were intercepted by the police and handed over to the Zeta cartel, becoming 2 of more than 28,000 people disappeared in drug-war related violence in Mexico. The stories expose the overwhelming harm that fighting the drug war is inflicting upon Mexican communities every day. Under prohibition, the illegal and unregulated drug market is controlled by violent criminal organisations rather than the government. The only way for disputes between rival gangs to be resolved is using force and violence, and ordinary families like María’s are caught in the crossfire. While stories like María’s may feel very distant and hard to comprehend, disappearance and murder are an everyday reality for the communities in Mexico who are suffering the brunt of our failed drug policies. This documentary allows us to hear their voices and truths to maintain the unique authenticity and power of individual storytelling. It also conveys the distress and fear that hang heavy on the shoulders of these families, as well as their courage and determination to keep on fighting for a solution to this war. Through a free phone line (in Mexico) connected to the documentary, families whose lives have been wrecked by the drug war are able to have their stories heard across the world. All the families involved have left their testimonies out of desperation to change global drug laws and to prevent others from suffering as they have. Once recorded, the testimonies are moderated for anonymity – in order to protect the identity of the individual speaking out – then transcribed and translated into Spanish and English and uploaded to an online archive. In addition, families can also use the phone line to listen to other testimonies, creating an infrastructure of solidarity between families and activists across Mexico. Unfortunately, María is not alone in feeling the effects of the ever sprawling chaos and tragedy of the drug war. Effective drug policy must protect young people, improve public health and reduce crime. The alternative that organisations like Transform Drug Policy Foundation are proposing is to legalise drugs and bring them under government control. This would take profits away from the criminals and undermine their influence in Mexico. The drug war would end, and with it the violence and bloodshed will be reduced. Ending the drug war will enable Mexican families to rebuild their communities, and put in place measures to better reduce the harm caused by drugs. Anyone’s Child at the UNGASS in April 2016Anyone’s Child is calling for the legal regulation of the use, supply and production of the drug market. We want to promote health, reduce violence and protect all of our children and communities. Our vision is that controlling drugs would be the responsibility of doctors, pharmacists and licensed retail sellers. It has taken enormous courage for these families to speak out against the horrors of the drug war. They want their stories to be shared as widely as possible in order to shed light on the situation in Mexico and help them bring an end to the violence. Watch and share Anyone’s Child Mexico, and join these families today in the campaign for the legal regulation and control of drugs. We want drug laws that really do protect families and keep children safer, in Mexico and across the world.